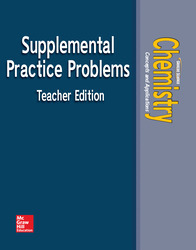 Supplemental Problems provides additional questions and problems to reinforce understanding and problem-solving skills. Each chapter includes brief summaries of the key points of the Big Idea. This resource tool offers reproducible student worksheets.